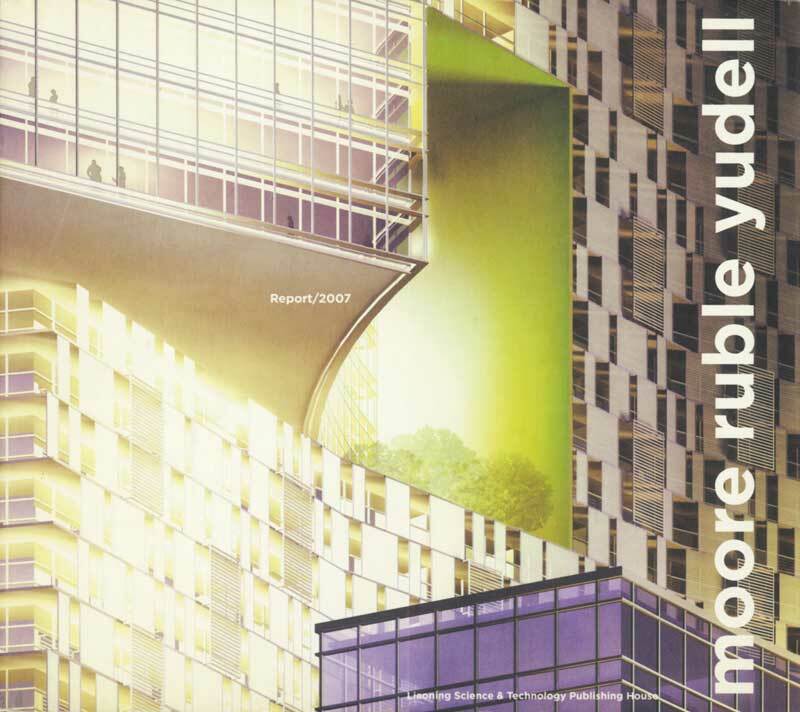 This publication is a visually stunning, graphic showcase of current and future projects by Moore Ruble Yudell, with introductory texts by internationally renowned architecture critic Michael Crosbie, as well as the firm’s partners, John Ruble and Buzz Yudell. 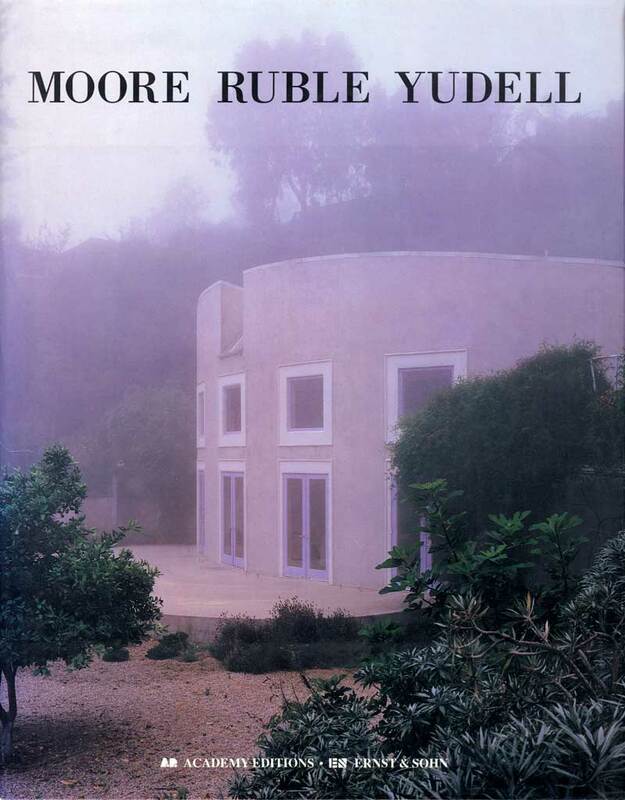 Moore Ruble Yudell, writes Robert Campbell, make buildings that remember the familiar language of architecture, its roofs, windows and materials, its human scale, its wish to be inhabited, and its respect for context, both physical and cultural'. 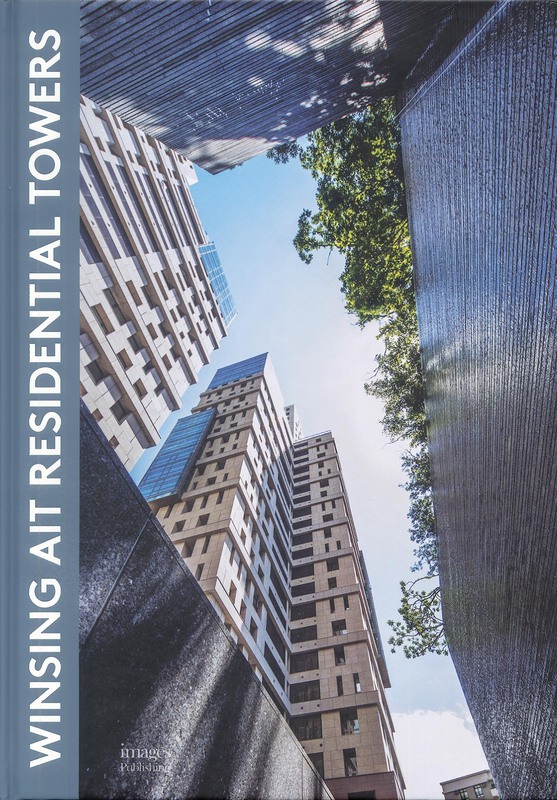 Thirty-two projects, ranging from private residences to urban masterplans, and including recent work in Asia, are surveyed through plans, drawings, photographs and explanatory texts. Catalog documenting an exhibition of classic modern design and lifestyle at the Santa Monica Public Library. It takes two to Tango. 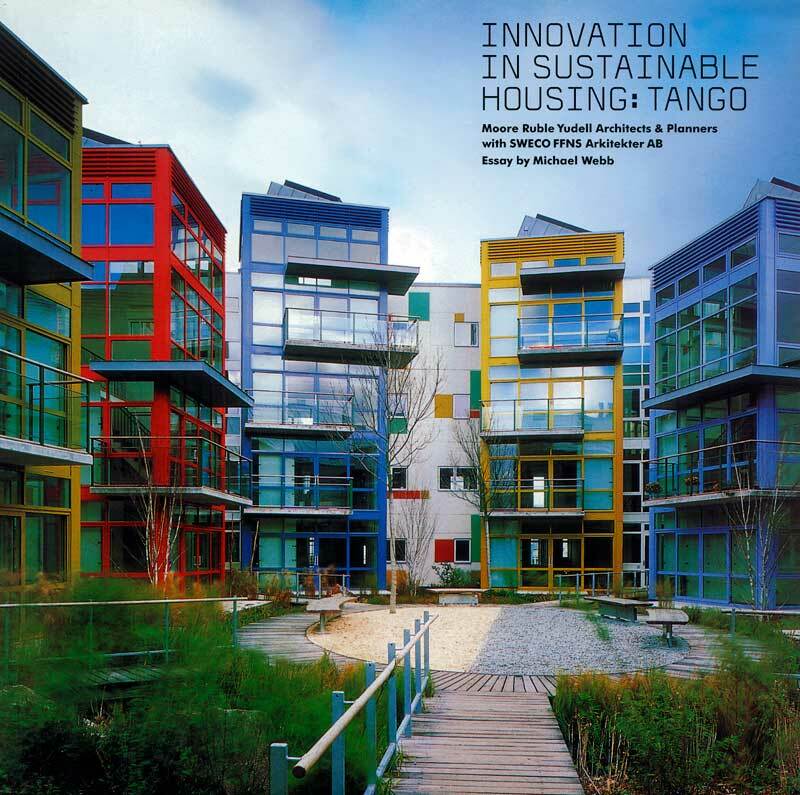 Moore Ruble Yudell partnered with the Swedish firm FFNS Arkitekter AB to design a housing project, dubbed Tango, as their contribution to the 2001 housing exposition in Malmö. This book documents the project in depth through photographs and diagrams, taking you through the development step by step. 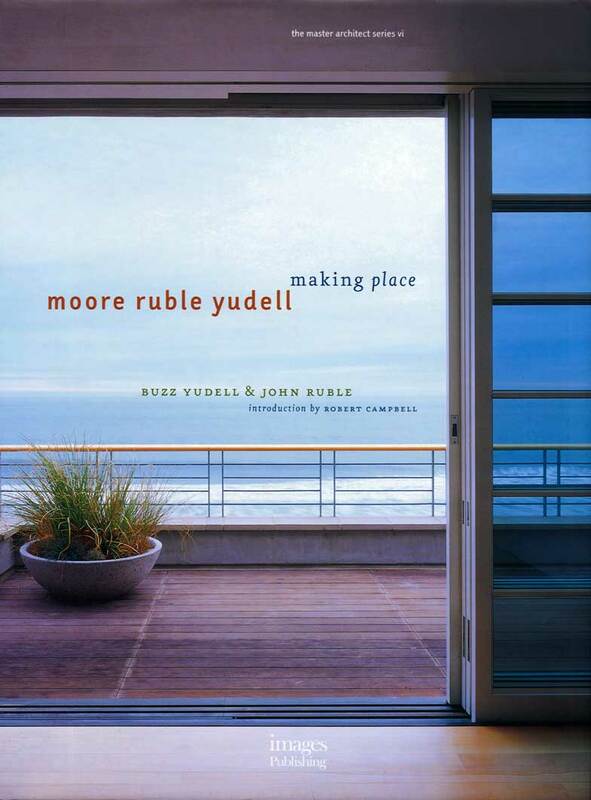 Making Place presents an extended essay by Buzz Yudell and John Ruble that explores their principles and passions, and the broader view of architecture that sustains their work. 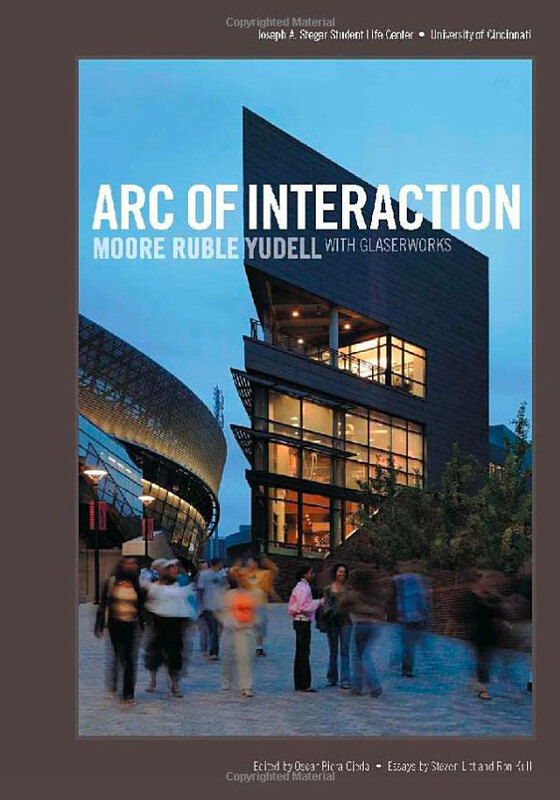 Organized into three chapters based on the topics of Understanding, Shaping, and Inhabiting, this volume showcases the recent and current work of Moore Ruble Yudell as a mature community of diverse talents. 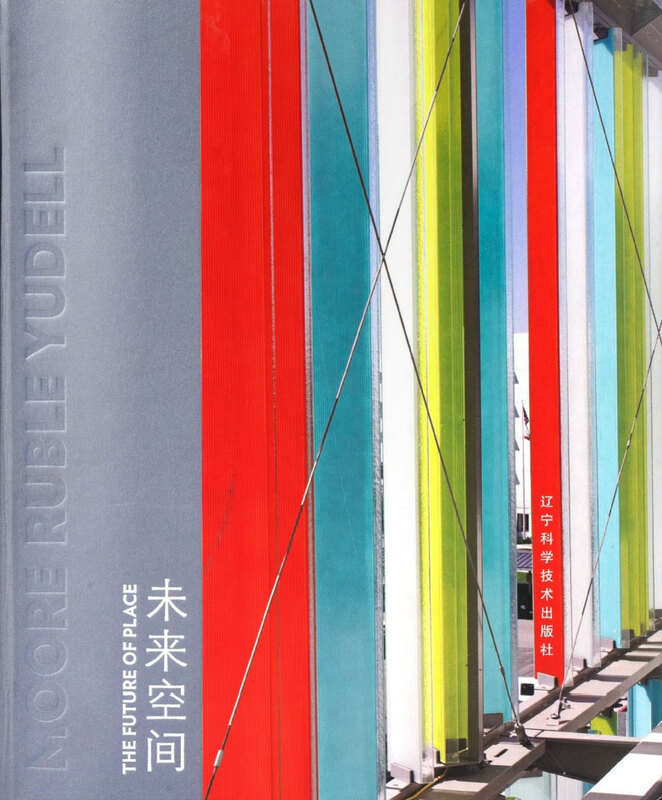 With an introduction by Robert Campbell that places the firm in the context of contemporary architectural ideas and practice, additional insights into Moore Ruble Yudell's work and process are provided by clients and associates. This monograph presents a remarkable body of residential work by MRY. While the architects have achieved international acclaim for a wide spectrum of planning and building types, their vision ad philosophy originated in the design of places for dwelling. Working in close and open collaboration with clients, the architects evolved a uniquely participatory style. Their passion for the concerns of habitation is revealed in works ranging from remodeled California bungalows to housing and town planning in Europe and Japan. The thirty-seven projects featured here include the award winning projects for Rodes House (Los Angeles), Tegel Harbour Housing and the Humboldt Library (Berlin), and St. Matthew's Church (California). The variety of work reflects the architects' sensitivity to the historical, architectural and natural features of the places where they build, and their concern with balancing the sense of place with the aims and requests of their clients. Herman, Matthew, Robert Thomas and Mario Violich. "Shaping Community Re-creating Connectivity on Campus through Student Life." Planning for Higher Education Journal, July-September, 2015. Zeiger, Mimi. "School Spirit: A revived Sproul Plaza complex supports student life and activities." The Architects Newspaper, December 7, 2015. Pearson, Clifford A. "Town Meets Gown: With a renovation and a new building, a university redefines an important plaza and establishes a stronger connection between campus and the city." Architectural Record, November, 2015. Ruble, John and Chen, Jeanne. “Housing.” Neuman, David J., ed. 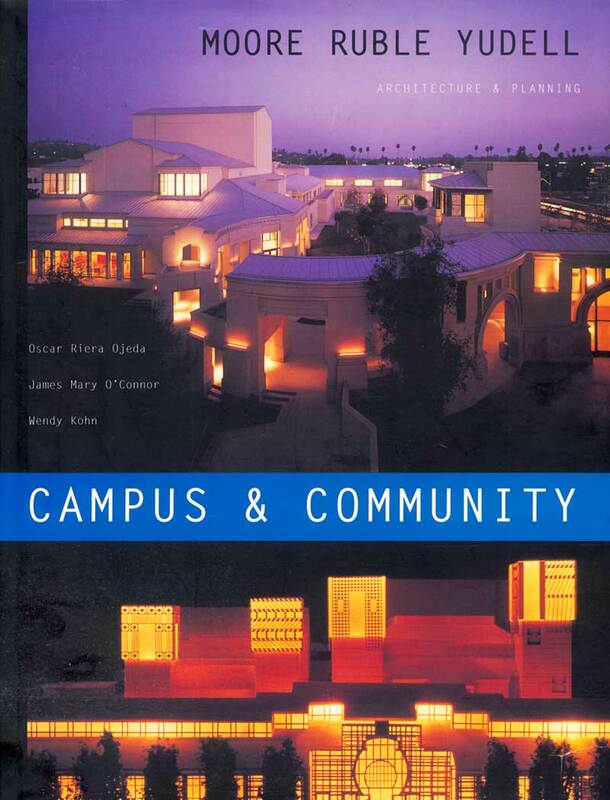 Building Type Basics for College and University Facilities, Second Edition. New York: John Wiley & Sons, 2013. National Center for State Courts, Retrospective of Courthouse Design 2001-2010, 2010. Friedman, DS. Campus Design as Critical Practice: Notes on University of Cincinnati's New Master Plan. Places vol 17, no.1, Spring 2005. Webb, Michael. Yudell, Buzz. Shaping Place: Structure and Discovery. Places vol 17, no.1, Spring 2005. The Phaidon Atlas of Contemporary World Architecture. London: Phaidon Press, 2004. Greenway Consulting Group. 2004 Almanac of Architecture & Design, 2004. Ruble, John. “Libraries/Learning Centers.” Neuman, David J., ed. Building Type Basics for College and University Facilities. New York: John Wiley & Sons, 2003. Webb, Michael. Brave New Houses. New York: Rizzoli, 2003. Residential Spaces of the World, Volume 5. Mulgrave: Images Publishing Group, 2002. Yee, Roger. Educational Environments. New York: Visual Reference Publications, Inc., 2002. Gause, Jo Allen. Great Planned Communities. Washington, DC: Urban Land Institute, June 2002. Cyberspace: the World of Digital Architecture. Mulgrave: Images Publishing Group, 2001. Crisp, Barbara. Human Spaces. Massachusetts: Rockport Publishers, Inc., 2001. Dutton, John A. New American Urbanism: Reforming the Suburban Metropolis. Milan: Skira, 2001. Slessor, Catherine. See-Through Houses: Inspirational Homes and Features in Glass. London/New York: Ryland Peters & Small, 2001. Trulove, James Grayson and Il Kim, eds. New American House 3. New York: Watson-Gupkill Publications, 2001. “Moore Ruble Yudell Architecture & Planning: Projects: Part 2, Campus & Community.” Tasarim. January/February 2000, Special Issue 98. Koffka, Adrian and Wendy Kohn, eds. 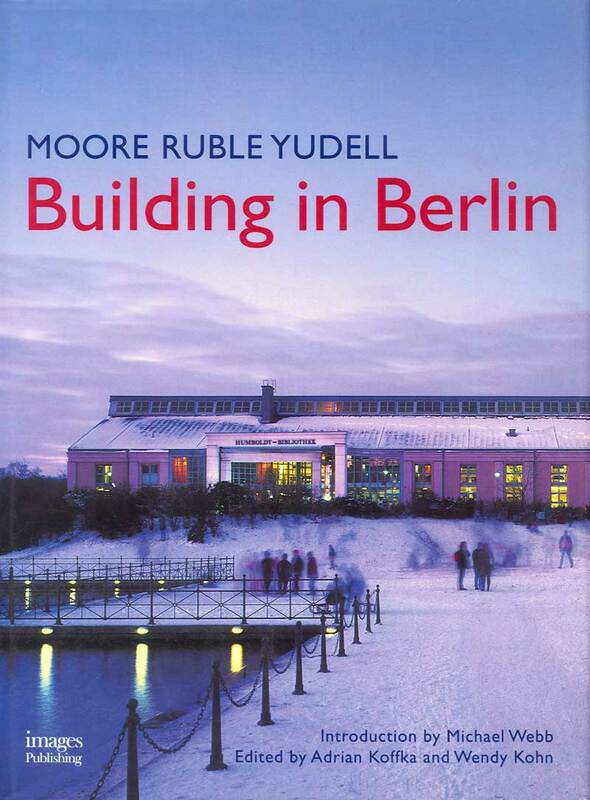 Moore Ruble Yudell: Building in Berlin. Mulgrave: Images Publishing Group, 1999. 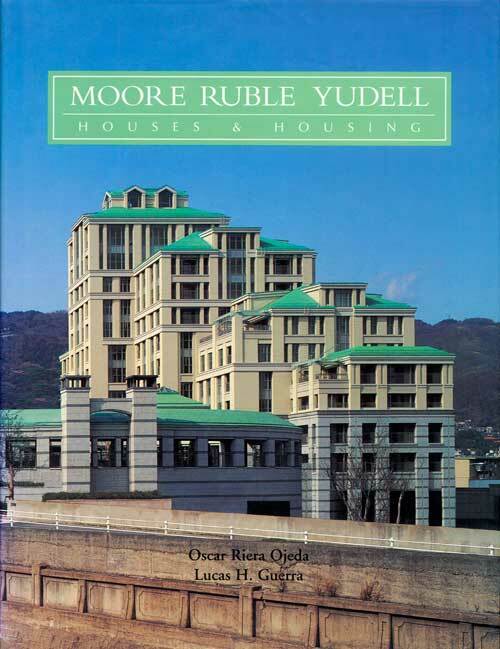 “Moore Ruble Yudell Architecture & Planning: Houses & Housing.” Tasarim. December 1999, Special Issue 97. Riera Ojeda, Oscar, ed. The New American House. Whitney Library of Design, 1995. Ferguson, R. Urban Revisions: Current Projects in the Public Realm. Cambridge: MIT Press, August 1994. Sanoff, Henry. School Design. New York: Van Nostrand Reinhold, 1994. Steele, James. Museum Builders. London: Academy Editions; Berlin: Ernst & Sohn, 1994. Steele, James, ed. 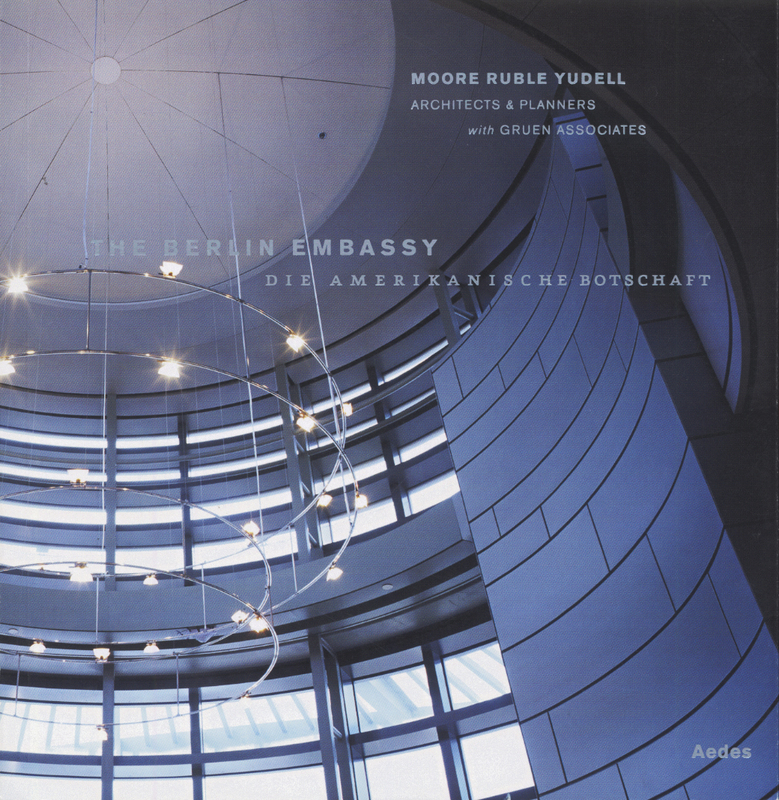 Moore Ruble Yudell. London: Academy Editions, 1993. “University of Oregon Science Complex.” Places vol. 7, no. 4, 1991. Johnson, Eugene J. Charles Moore Buildings and Projects 1949–1986. New York: Rizzoli, 1986. Street-Porter, Tim. Freestyle. New York: Stewart Tabori & Chang, 1986. O'Connor, James Mary. "Restoring Dublin's Missing Link: The Grangegorman Urban Quarter Development." Urban Land, March/April 2015.
multihousingnews.com, "It Takes a Village: Restoring Santa Monica's Civic Center," January 19, 2015. "The 100 Home MIlestone: An Inside look at the new vernacular of the Santa Lucia Preserve." Santa Lucia Preserve, Volume 3, 2014. Miller, John P. and Marc A. Friedman, "Atrium Roof Structural Artistry." Structure Magazine, August 2014. Sokol, David. "Air Supply: Pushing the Limits of Passive Sustainability." GreenSource, July, 2014. Manroe, Candace Ord. "Desert Classic Revival." California Homes, Summer 2014. Lange, Alexandra. "Why Charles Moore (Still) Matters." Metropolis Magazine, May 2014.
worldinteriorsnews.com, "Henry W Bloch Executive Hall At University of Missouri," March 31, 2014. Zeiger, Mimi. "Reasonable Dream." Metropolis Magazine, March, 2014. Fortmeyer, Russell. "Henry W. Bloch Executive Hall for Entrepreneurship and Innovation: An innovative building design challenges traditional teaching methodology and becomes a model for a campus." Contract, March 2014. Currie, Alasdair. "Back to their Roots." Garden Design Journal, October, 2013, Issue 135. Herrera, Kevin. "Library courtyard makes list of most peaceful places." Santa Monica Daily Press, April 5, 2013. 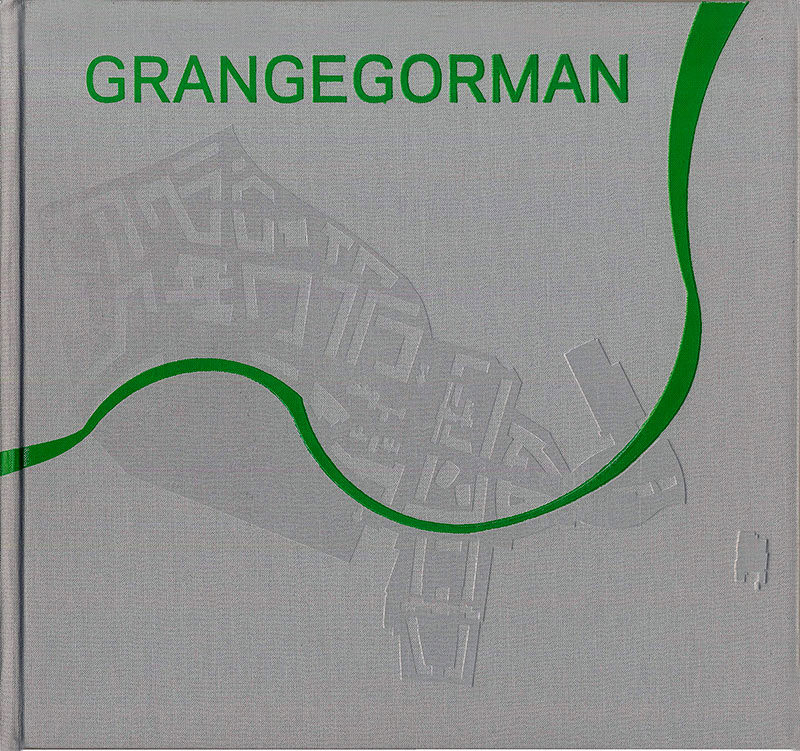 "Grangegorman Urban Quarter." International New Landscape, March 2013. Nguyen, Thanh Viet & Que Vo. "Eco Valley: A City on a Farm." Vietnamese Journal of Urbanism, Issue 11, 2012. Li, Gang, "Best Planning Project: Honor Award." Architectural Record China, Vol. 2 2012. Kull, Ron, "Cincinnati Student Center by Moore Ruble Yudell." Architecture Week, February 22, 2012. Vincent, Roger, "Santa Monica project to break ground." Los Angeles Times, February 16, 2012. Ness, Carol. "A new Lower Sproul, long a dream, is taking shape" UC Berkeley News Center, January 20, 2012. "Parking Garage Graphics Hall of Fame." SEGDDesign, issue No.34, December, 2011. Kelly, Olivia. "Council Approves Plan For Grangegorman Site." Irish Times, July, 2011. Archibald, Ashley. "The Village Gets High Marks for Visuals." Santa Monica Daily Press, June 2011. Campbell, Robert. "MIT's Sloan Building Appealing, Not Audacious." Boston Globe, January 2011. Morgan, Lynn. "Let There be Light." Orange County Magazine, Winter 2009-2010. Kirsner, Scott. "First look: MIT's newest building, the new heart of the Sloan School of Management." Boston Globe, September 2010. Schmertz, Mildred F. "The Story of a House." Architectural Digest, October 2009. Giovanni, Joseph. "A Tale of Two Embassies." Architectural Record, October 2009. Dolan, Halil and Hahn, Kristina. "Nachhaltigkeit Im Vergleich." Deutsche Bauzeitung, September 2009. Cohen, Edie. "Bel Air Beauty." Interior Design, June 2009. Zacks, Stephen. "Exporting The Quad." Metropolis, July/August 2008. Binder, Elisabeth Von and Hasselmann, Jorn. "Viel Prominenz-doch Obama kommt nicht." Der TagessSpiegel, NR.19, 1952, July 2008. Hanatani, Melody. "The Village clears first hurdle," Santa Monica Daily Press, volume 7, issue 157, May 2008. "Santa Monica Civic Center Parking Building." Details, March 2008. "Building a 'Bridge' Firm." A+U, February 2008. Lowenstein, Oliver. "Grand Plans for Green Design." Financial Times, November 2007. Katz, Susan Bullington. "A Desert Place." California Homes, August 2007. Lubell, Sam, "Amazing Glazing." The Architect's Newspaper, vol. 1, issue 3 July 16, 2007. "Design Award Citation," LA Architect, Jan/Feb 2005. Litt, Steven. "UCx3: Renowned for Signature Buildings by Star Architects, the University of Cincinnati Charts a New Course by Asking Three Firms to Think Collaboratively--About Place." Metropolis, February 2005. Boddy, Trevor. "UBC campus gets a heart of glass." Vancouver Sun, April 30, 2005. McMullen, Troy. "My A-List Architect: Big Names Design More Homes." Wall Street Journal, November 12, 2004. "The AD 100," Architectural Digest, January 2004. Barreneche, Raul. “It Takes Tech to Tango.” Popular Science, May 2003. Chirkov, Andrei. “Against the Background of Ocean Expanse.” Interior Digest (Russia), July 2003. Heeger, Susan. “Testing Ground: A garden is a laboratory for a California color expert.” Martha Stewart Living, September 2003. Newman, Morris. 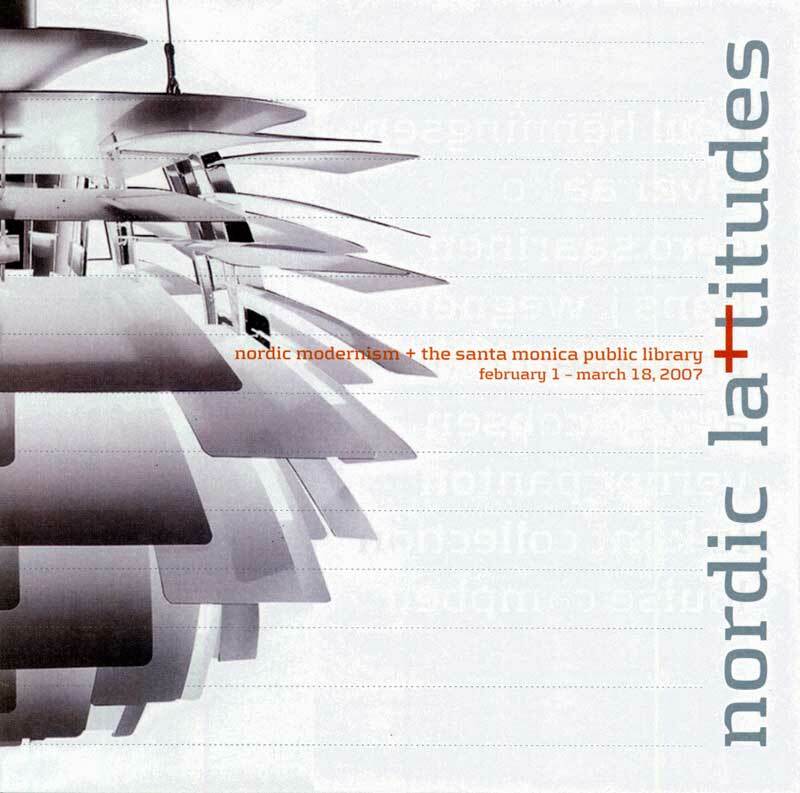 “Sustaining in Sweden.” LA Architect, May 2002. Russell, Beverly. “Ten Most Sensuous Spaces.” SFDC News, 2002. Thornburg, Barbara and Susan Heeger. “The Green Rooms: The Contemporary Tent.” Los Angeles Times Magazine, May 19, 2002. Weathersby, William Jr. “Tango Building, Malmö, Sweden.” Architectural Record, February 2002.